East Anchorage office buildings for sale. Building A is occupied by All State Insurance, and Building B is occupied by Lifetouch and the Center for Psychosocial Development. 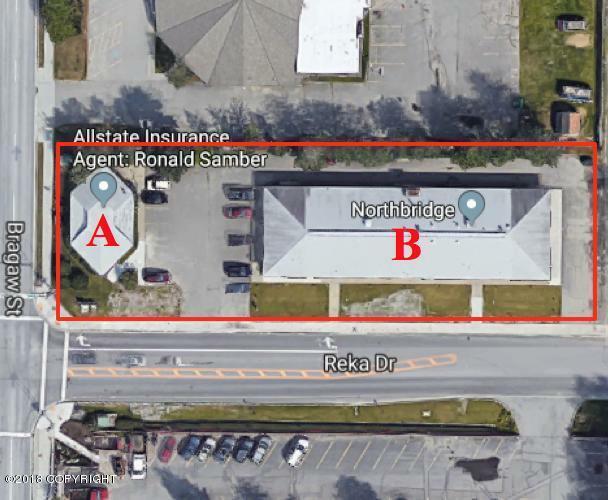 24,560 SF lot zoned RO, residential office. Easy access off Bragaw and high traffic exposure with over 17,000 vehicles passing daily. See marketing package for details.